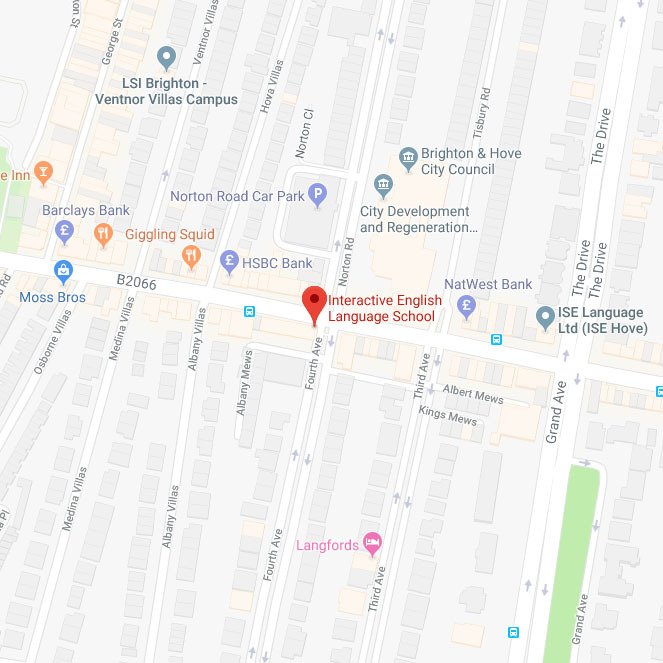 The school is in the centre of Hove, just a few minutes’ walk from the beach, on the main shopping street. Brighton & Hove is a small city and the school is located near the centre. Many of our students walk to the school from their accommodation, some cycle, others take a bus. There are four bus stops within 50 metres of the school, and buses from almost every part of the city stop at them. You can arrive at the school from most parts of the city in less than 20 minutes. There is a taxi rank opposite the school, but taxis are very expensive here.